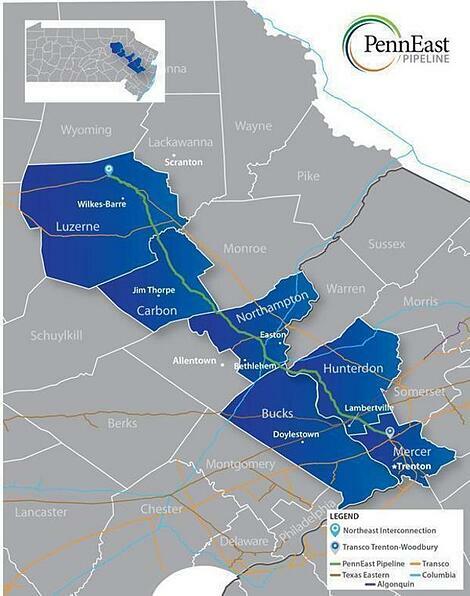 New Pipeline Supplying Marcellus Natural Gas | Indelac Controls, Inc.
PennEast Pipeline Company publicized their plan to build a 100-mile pipeline to bring natural gas extracted in the Marcellus Shale region to the states of Pennsylvania and New Jersey. The PennEast Pipeline should provide natural gas service to the equivalent of 4.7 million homes. The pipeline will begin in Luzerne County in northeastern Pennsylvania and end at Transco's Trenton-Woodbury interconnection in New Jersey. The pipeline will cost around $1 billion. The bill will be split between the 4 majors partners of this project: NJR Pipeline Company, a subsidiary of New Jersey Resources, South Jersey Industries, AGL Resources and UGI Energy Services. PennEast will begin initial engineering and field studies in the upcoming weeks, accompanied by an official application before the Federal Energy Regulatory Commission (FERC). If all federal, state and local entities approve in a timely fashion, construction of the pipeline could begin in 2017. From the automation industry point of view, this is another big market for automated valves. Hundreds of suppliers should be called on for this $1 billion job.